Kelsey Adams is alone, and has been since childhood. Running away is all she knows and necessary to preserve her deepest, darkest secret. She can not afford for anyone to get close, or know about the monster within. But when she lands a lucrative job as an administrative assistant to Kyle Westin, CEO of the Westin Foundation, her life changes and everything's at stake. Can she conceal her growing feelings and her true self from this enigmatic, strong willed man, or will her world fall apart? 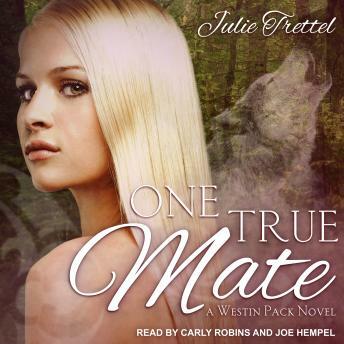 Kyle Westin, an alpha male who always gets what he wants, has watched and waited for the little she-wolf he knows is his perfect mate to show any signs of recognition. For two years he endures her unnecessary formality and daily rejections with a patience he did not know he possessed. But even Kyle has his limits . . . Can he make Kelsey notice him as someone other than her boss and break down the walls she built around her heart? Or will Kelsey do what she has always done-run?